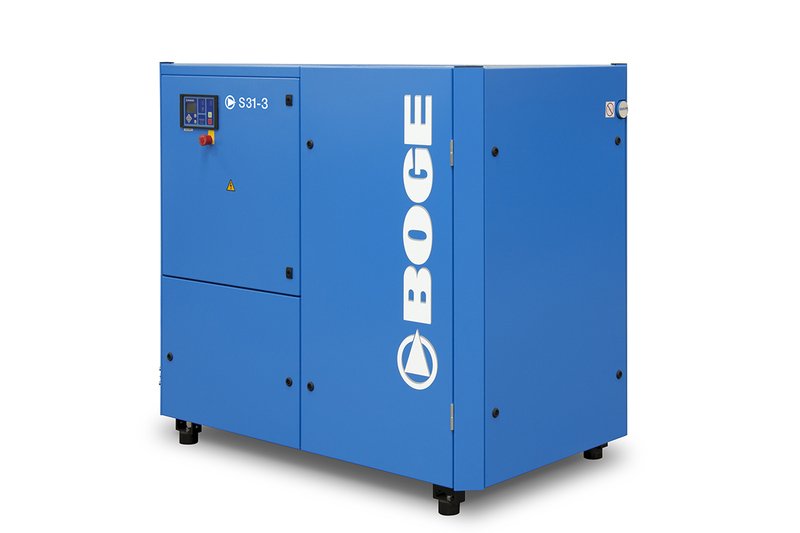 The BOGE S series wins you over with its sophisticated design concept, highest quality workmanship, and maximum cost efficiency. Each component is the culmination of decades of expertise by our engineers, giving it an edge is evident in everyday use. 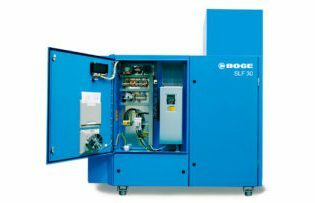 The BOGE screw compressor is designed with a valveless oil circuit eliminating the need for oil stop or check valves. This function provides maximum operating safety. 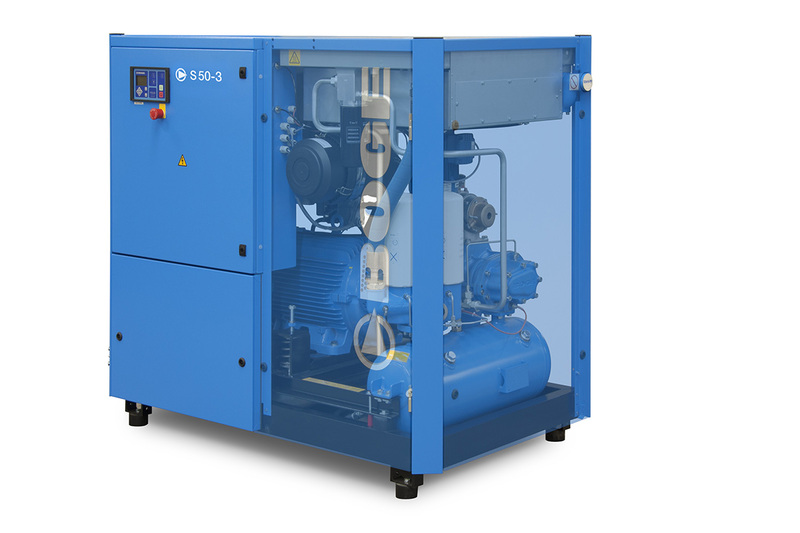 The specially designed BOGE airend provides high output volumes at low energy consumption for reliable and energy efficient compressed air supply. 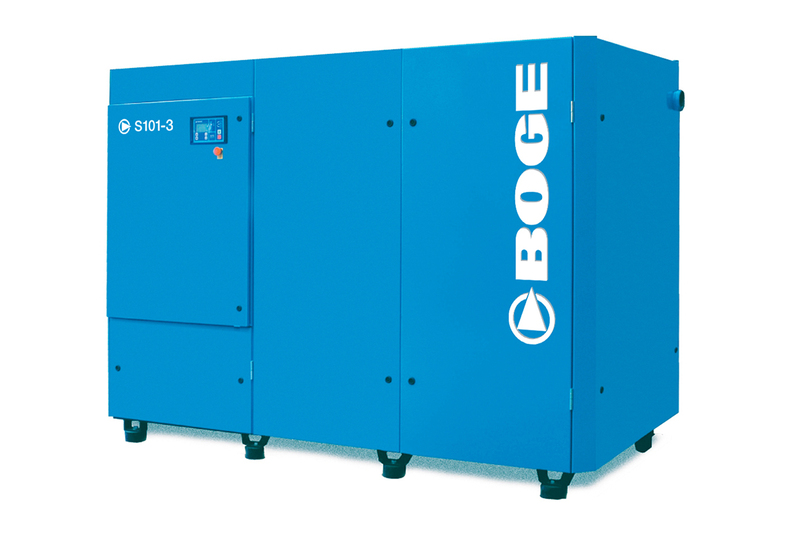 The BOGE FOCUS control is the standard compressor control and provides numerous control and monitoring features; customized, convenient, economical, and reliable superior energy efficiency. Only the use of BOGE original parts will enable you to benefit from the technological edge of the S-series in the long run. 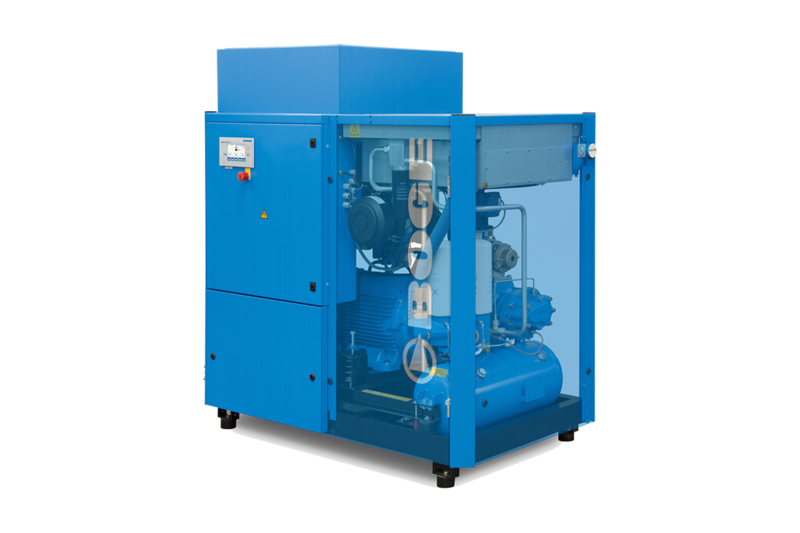 To this purpose, CRU AIR + GAS offers individually customized replacement parts for the S-series guaranteeing 100 percent quality and 100 percent service life. Only such original parts are compatible with the compressors of the S-series for maximum safety during the entire service life period. BOGE Genuine Parts enable you to extend your factory warranty up to 5 years: 2 years factory warranty with 3 years additional Genuine Parts warranty – the choice is yours. Furthermore, Genuine Parts ensures manufacturer’s recommended maintenance schedule of new and existing equipment at the specified service intervals.